Economies, companies and markets operate in accordance with patterns which are influenced by naturally occurring events combined with human psychology and behaviour. The wisest investors learn to appreciate these rhythms and identify the best opportunities to take actions which will transform their finances for the better. 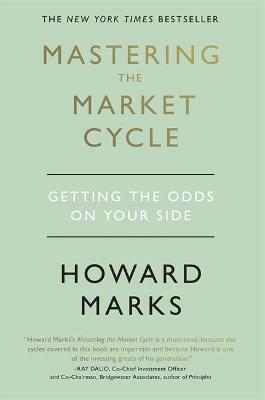 This insightful, practical guide to understanding and responding to cycles - by a world-leading investor - is your key to unlocking a better and more privileged appreciation of how to make the markets work for you and make your money multiply. Oaktree Capital Management is a leading global alternative investment management firm with particular expertise in credit strategies. The firm was formed in 1995 by a group of individuals who had been investing together since the mid-1980s in high yield bonds, convertible securities, distressed debt, real estate and control investments. Today, Oaktree comprises over 900 employees in Los Angeles (headquarters), New York, Stamford, Houston, London, Paris, Frankfurt, Amsterdam*, Dublin*, Luxembourg*, Dubai, Hong Kong, Tokyo, Singapore, Seoul, Beijing, Shanghai and Sydney. It has 31 portfolio managers with average experience of 23 years and over 700 years of combined investment experience. Among Oaktree's global clients are 75 of the 100 largest U.S. pension plans, over 400 corporations around the world, over 350 endowments and foundations globally, 16 sovereign wealth funds and 38 of the 50 primary state retirement plans in the United States.